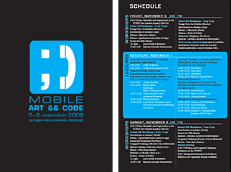 MOBILE ART && CODE takes place on the campus of Carnegie Mellon University, a mid-sized private university located in the midst of Pittsburgh’s Oakland neighborhood — a bustling hub of schools, museums, galleries and historical sites, ethnic restaurants and shops. The area surrounding campus is attractive, safe and pedestrian-friendly. If you’re staying at one of the hotels listed below, chances are you won’t need a car. Here’s an interactive map showing campus, hotels, nearby restaurants, bars and art galleries. The conference will be held in Baker Hall, located on Frew Street at the rear of campus (campus map). The metered spots along Frew Street have a 2-hour time limit. The campus parking garage is free on the weekends and $10 for all-day parking on weekdays. For full details, see the driving directions and parking rates and locations on Carnegie Mellon’s website. Blocks of rooms have been reserved with a special conference room rate at the following hotels. Most hotels are within walking distance to Carnegie Mellon. Mention the block name: “Carnegie Mellon – Mobile Art and Code” when making your reservation. Mix of double and king; nonsmoking. Rate: $126.00, plus tax, per night. Block Name: “Carnegie Mellon – Mobile Art and Code Workshop”. Please reserve your room by October 31, 2009 to ensure the workshop rate. Rate: $119.00, plus tax, per night. Please reserve your room by October 30, 2009 to ensure the workshop rate. Here’s a helpful Bus trip planner. Warning: There may be very long wait times for taxis. Carnegie Museum of Art – Founded in 1895 by Andrew Carnegie, the museum is renowned for its collections, including the Hall of Architecture. Carnegie Museum of Natural History – Adjacent to the art museum, this facility is home to one of the world’s largest collections of dinosaur bones, along with the dazzling Hillman Hall of Minerals and Gems. Phipps Conservatory – Located just behind campus, this stately greenhouse is home to formal gardens, exotics and rare plant species, and even a tropical rainforest. A must-see for the computational designer inspired by natural forms. Nationality Rooms – A collection of 27 classrooms in the University of Pittsburgh’s Cathedral of Learning showcasing the cultures and traditions of different ethnic groups that helped build the City of Pittsburgh. South Craig Street, two blocks from campus and across the street from the museums, has many restaurants, cafes, bookstores and specialty boutiques. Frick Art & Historical Center in Point Breeze features a large collection of art and vehicles, plus Clayton, a meticulously restored Victorian home that belonged to the Frick family. The Quiet Storm is a cozy vegetarian cafe in Friendship. Shadyside, a popular neighborhood near campus, has many small galleries, shops and restaurants along Walnut Street and the artsier Ellsworth Avenue. East Carson Street, the main drag through the South Side, has lots of bars, restaurants, cafes, antique shops and tattoo parlors. Duquesne Incline – take a ride up Mount Washington for a spectacular view of Pittsburgh’s skyline (especially after dark). Linger on one of the overlooks, restaurants or bars at the top (Grandview Avenue). Upscale shopping and dining options abound at the SouthSide Works: stores include REI, Sur la Table, Urban Outfitters and Z Gallerie. The Andy Warhol Museum is the largest single-artist museum in the world. Seven stories recount the many varied aspects of his career. Carnegie Science Center has an IMAX theater and lots of hands-on exhibits for children and adults. Downtown Pittsburgh is small but not without its charms. Walking tours highlight the city’s stunning architecture, and contemporary art thrives in places like the Wood Street Galleries and Future Tenant. Football fans will love touring Heinz Field, home turf of the Pittsburgh Steelers and Pitt Panthers. The Heinz History Center and Western Pennsylvania Sports Museum showcase the innovation and triumphs of the region. Now through April 5 at the Mattress Factory is “PREDRIVE: After Technology”, an exhibition that revels in the contradictions posed by digital art. The National Aviary is home to over 600 exotic birds from around the world. Vintage photo buffs will enjoy the Photo Antiquities Museum of Photographic History. Foodies will enjoy a trip to the Strip District, where they can find the freshest produce and innovative cuisine from restaurants like Eleven, Kaya and Lidia’s Italian Kitchen. And no trip to Pittsburgh is complete without a stop at Primanti Brothers, where the sandwiches are piled high with cole slaw and fries. The PIttsburgh Design Zone runs along Penn and Butler Avenues from the Strip District through Lawrenceville. This is one of the up-and-coming areas of town, featuring many galleries, interior designers and architectural firms, vintage clothing stores and a hipster bowling alley, alongside restaurants and bars like Coca Cafe and Remedy. MOBILE ART && CODE is a symposium on the artistic and tactical potential of mobile, networked and locative media: November 6-8, 2009 at Carnegie Mellon! Mobile Art && Code uses a modification of Graphene by Syahir Hakim.